At long last (though at roughly the normal time), the Signature Series set of the year in the Mega Bloks Halo lineup has reached store shelves. There was already quite a bit of fan dissent when this was first announced, as it did not appear to belong in the high-tier lineup that previously featured the Forward Unto Dawn and Scarab. This Pelican is larger than its predecessors, but only by a smidge. 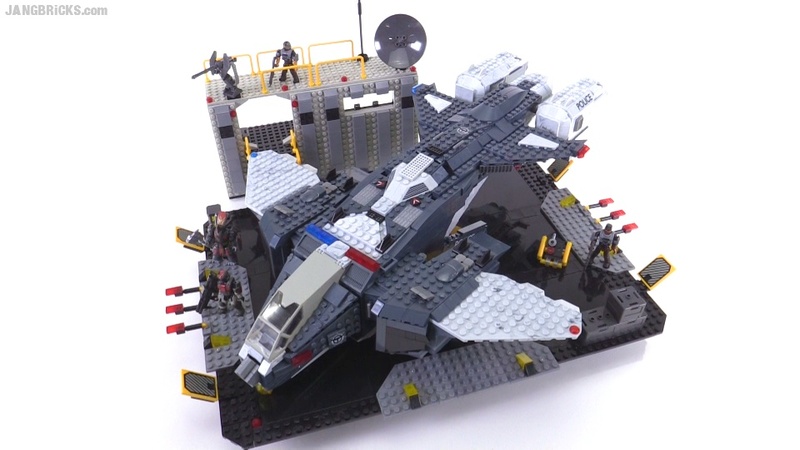 The sent ends up using over 1,700+ parts and requiring a massive box because it also includes a very large, elevated landing pad for display, and a small, but useful 2-level (3 if you count the roof) slice of NMPD HQ.